I found your site and wanted to ask a question. I rent an NYC apartment and it has been confirmed by an exterminator that we have bed bugs. I am wondering about the transportation of bed bugs. For example, I work in a corporate office…What are the odds that I’ve transported the bed bugs to the office? Can they be living on my chair at work? Can they be transported through hugging or close contact with others? I check my clothing and have not seen any bugs walking around on myself or clothing, but can the eggs be transported by any of the above situations? 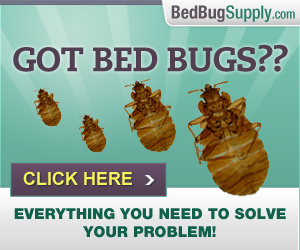 Sorry for your bed bug troubles. 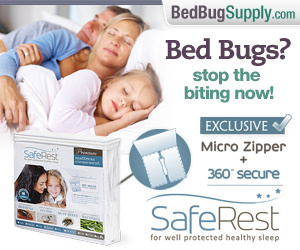 The bad news is that bed bugs can spread. They can catch a ride in your clothing or bag, and hop off somewhere else to start a new life. It’s worth considering this possibility, as you are. The good news is they don’t spread that easily, and it is possible to avoid this using some precautions. It’s also worth noting that they can bite during the daytime, a fact which some people just don’t acknowledge. If bed bugs are in a school, a corporate office, or somewhere else where people are not sitting or lying down at night, they will bite by daylight. I am wondering about the transportation of bed bugs. For example, I work in a corporate office…What are the odds that I’ve transported the bed bugs to the office? First of all, don’t panic. It happens, but I would say it is a small percentage of people who report this. Though few people report this happening, we do also encourage people to take precautions against it. If it does happen, not only can you create a stressful situation at work, but you are also likely to reinfest yourself at home, even if treatment at home is going well. Precautions might include carefully inspecting purses, shoes, etc. and treating them in appropriate ways if necessary; storing them in the home carefully; washing and drying clothing on hot and storing it in sealed containers (e.g. XL ziplocs) before use; showering and dressing in this cleaned-dried-sealed-up clothing directly before going out to work or anywhere else. If, instead, you sit around at home, then hop up, grab a bag off your (possibly infested) sofa, hop in the car, and go to work (friend’s home, etc.) then you are more likely to bring bed bugs elsewhere. And while few people have reported taking them to work, many people have reported giving them to relatives, friends, etc. Finally, this is not your situation, but for others out there, some folks think they have bed bugs at home, where they might actually be bitten at work. Since bite marks and itching seem to appear after one is bitten (anywhere from a few hours to the next day or longer), it is possible to be bitten at work and think you are bitten at home. Keeping a log of when new bites appear might help you pinpoint this. Most people seem to first notice new bites sometime the day after being bitten: in the morning, afternoon, or evening, in many cases. Lots of Bedbuggers notice them after a warm or hot shower, or exercise, suggesting that heat can “bring them out” somehow. That is based on anecdotal evidence; unfortunately, this stuff has not really been studied yet. Can they be living on my chair at work? Yes–or, for that matter, a chair at home. Sofas, soft chairs, desk chairs, anything really: if you sit there for long periods (working at your desk, zoning out at home in front of the internet or a movie), you can be bitten. And they are likely to hide out near where they feed. But remember– in addition to beds or chairs, bed bugs can actually live in the room itself (under baseboards, in floor cracks, around edges of carpeting, even behind electrical plates). Can they be transported through hugging or close contact with others? It is possible, but not easy. As per the first answer above, they will “hitchhike” in your bag, or even an item of clothing. If you are wearing washed, clean clothes, and if you take care to store items like coats and shoes properly, then it would be difficult for them to do so. Also, even if they did hitchhike, say in a trouser cuff or bag, they would not likely ride around very long. They want to bite you and then run off and hide inside something that is not moving! Again, this does not apply to your situation, but we have heard of extremely serious infestations of people who did not bathe or change their clothing regularly, who were walking around covered in bed bugs. This is a rare situation, but it can happen. I check my clothing and have not seen any bugs walking around on myself or clothing, but can the eggs be transported by any of the above situations? It is possible a bed bug could have left an egg in your clothing. However, eggs take 6-17 days to hatch according to this Cornell fact sheet. 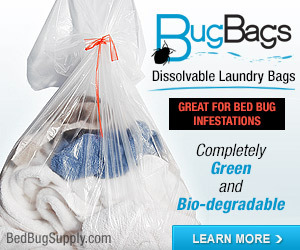 So if you’re washing your clothing and storing it as we describe during your infestation, this should not be a problem. Washing and drying on hot will kill bed bugs and eggs. If a hot wash will damage your clothes, Dr. Michael Potter has done some research on drying dry items on hot (which should be safer for items not suitable for machine washing and drying together). These FAQs about dealing with clothing should help. For the benefit of others, I should point out that the precautions are not difficult in and of themselves, but they become moreso if you a lot of people in your home, or live with elderly people, children, people with various disabilities, or even adults who do not want to participate. I do not discount these difficulties, but am simply suggesting what has worked for others. I hope other readers will comment with additional suggestions, questions, or comments. Sorry about your situation, I understand what you are going through. Two people that I work with had bed bugs before I did. I did not know this until after I discovered my infestation. Did I bring bbs home from work, I actuall made a list of thirty or so ways that I could have become infested so we will never know. I have my own office so I contacted facilities and they had an exterminator spray once, a crazy PCO showed up at three in the afternoon, I told peolpe that I saw a mouse which we have had people complaining about which kind of saved me, keeping my secret. Weeks after the spray I brought in my steamer and steamed twice a week for a couple of weeks and sprayed with the stuff that the PCO left for me to use. I would stay late and after most people left I would battle the possible bugs. I also spread Food Grade FreshWater DE in tactical areas. I still use Steri-Fab on my chair but do not steam the office now but I have thought about steaming again. You are probably in for a long hard war just remember that you must fight and win, this will take much work and hardship but take no prisoners. This country is experiencing a bed bug epidemic and those who have not experienced an infestation yet may experience an infestation in the future. This site will help you through this. I did not get the impression buggin thought s/he had gotten bed bugs from the office, and in the absence of a strong feeling that s/he had (as LtDan had in his case), I would not rush to treat it. I also think that treating your office yourself can be a bad idea. Others in the office may have allergies or chemical sensitivities you are not aware of and so spraying “stuff the PCO left” or that you buy could be harmful, even if used correctly. People have a right to know what is being sprayed around them, and even though the PCO may not notify every employee, they are licensed to apply the substances properly. Steam is not dangerous but can cause mold growth, and I think there’s a big difference between doing this stuff to your own home, and doing it in a place where others are working. If you really think there are bed bugs at work (you’re bitten, see them, or as in LtDan’s case, a co-worker tells you they had them at home and then you get them at home, where work does seem a likely possible conduit), then I would press for better professional treatment at work. The plus side of talking to co-workers and making sure everyone knows what’s going on is that they will be more alert should they see or feel anything strange. It’s been a few years from the Anthrax scare, too, but if I saw little DE trails and such at work, I would be a bit freaked out, to be honest, and angry my co-worker was doing this. LtDan, I don’t really want to get into an argument about this–you have stated your position and I have mine. So let’s leave this point for others to comment on. prevalent. In order for take your bed bug to work day to be a success for the bed bug it first has to end up being removed from the home. Second they have to make the trip in without being side tracked or side swiped. Once at the office they will crawl off not hop (no bugs u know better) and then they will stay in the area of either the cloths closet, cubicle or work station. Obviously clutter as at home is your enemy. They will eventually look to hook up with a meal which may be with the one who brought the little sucker in. As it makes itself at home and if it’s a female it may raise a family of adventurous young instars who will explore the great beyond.. your space. Then you have to go through a reverse process of bringing them home. fabric bags etc. 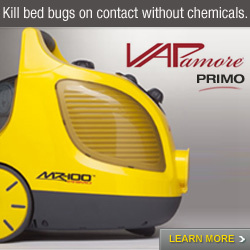 As far as pesticides at work, if you can see it it is probably in the wrong spots for bed bugs. Also application in an office is legally limited to certified technicians and applicators. While material like Steri – fab may work it must be done after hours and is flammable, can discolor and cause ink to run. DE would not be recommended in a work environment and would certainly invoke the attention and ire of those around you as well as other employment and airborne contaminant issues. Right, problem is it’s all speculative. 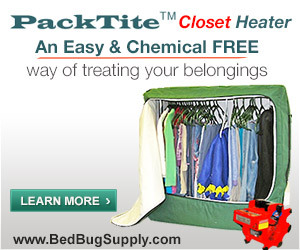 What would a bedbug do if it manages to crawl onto your jacket? What does it do as it finds a seam and settles in? You leave home, get on the subway, hang up your jacket… why would it leave your jacket? Once it’s on the hanger or, let’s ratchet up the tension, over your chair, does it stay put or does it decide to come out? Why? The guess that kept me sane was that it would stay put and I would just end up taking it back home. Wishful thinking, no doubt, but I don’t see a bedbug leaving its harborage, however temporary and new it may be to it, without good reason. Here’s the problem. People bring all kinds of crap from home to work. And then leave it there. For days and days. They get their ebay “finds” shipped to the job, naturally. They collect their dry cleaning and forget it in the closet. Or it’s suddenly warm out and they leave the stupid jacket in the closet. For months. You can take care of yourself if you have an infestation but there isn’t much you can do about the situation in general. There will be others who don’t yet know they have an infestation. And others who know they have an infestation but haven’t figured out the ways to minimize risks to others. Or don’t care. Not much you can do, really. And when there’s only a limited number of things under your control, you have to relax about the situation or go crazy. Of course, one thing you can do, maybe, is to sabotage nap time for those annoying power nappers in your midst. Honestly, get them to wake the hell up. about them and then you can wake them up. I have not confirmed I have bedbugs, but am quite sure I am beginning a livin nightmare. I have children and a dog. I am already concerned that I have passed bugs on to loved ones as I’ve had overnight visits recently. Once with a big bag of dirty laundry. I am terrified to tell them. Quickly coming out of denial though. I’ve notified my landlord and he is sending an exterminator tomorrow. Please offer any advice as I begin this battle. I can’t isolate my children. I’m prepared to toss everything. I fear the infestation is grand as I found an engorged bug on my bed. Itchiness began a couple of months ago, but no notable bites on any of us. Strange smell in recessed cabinet has loomed for awhile. Smelled must and I thought I didn’t get some things clean enough. I became suspicious when I read Apartmentherapy; only because I felt itchy. I didn’t notice any other signs until the other day when itchiness persisted. I looked in the bed to find casts and then a day later the bug. Do I begin by telling all? Do NOT panic, do not throw your stuff out. Not now. The PCO will need to inspect before you remove all evidence, and will also tell you if things need throwing out or not. Most things don’t. Read the FAQ on choosing a PCO and try to help your landlord choose a good one, if s/he does not already have one in mind. Get the PCO’s prep sheet and follow it. At minimum, this involves washing all clothing on hot / drying on hot. Our FAQs cover what to do if items can’t be washed/dried on hot. Do NOT move your stuff around, or you may spread them. Do not throw things away, unless it is stuff you would throw out anyway (and then make sure it is sealed in an airtight manner). If you dispose of other things, I can almost guarantee you a neighbor will take them, labelled or not, and use them, and by doing so, bring them into other parts of the building (if it’s a multi-unit). Read the FAQs. If you have questions, post them. If you need support, click the “Forums” button at top right (blue bug). the bedbugger.com t-shirts are coming, sooner than you think. i expect they’ll be popular :-). quick question how fast do bed bugs multiply?? Pretty quickly. If you’re thinking about putting up with them for awhile, don’t! I live in my dad’s downtown apartment that he uses during the week for work, before going home to my parents’ house on weekends. We caught our infestation early, but the first spray wasn’t enough, and we are getting our second today. I was pretty confident that the infestation was confined to my couch and my room, but I have still been forcing my dad to be very careful about what he brings home to my mom! I wash and bag his clothes for him, and have bought him a metal fold-up chair to elevate his small suitcase off the ground/bed. Just today, I found a dead nymph in his bed as I was striping it for spray number 2. Out of all the bedbug sightings I’ve experienced in the last couple weeks, this was the scariest because it means his room isn’t as “safe” as I’d (naively) thought it was and my biggest fear is him infesting my parents house! My mom and dad do not understand the problem fully, and I do not know if they will handle it well. My PCO told me there was only a 10% chance of him infesting the house, does this seem accurate? That 10% number seems pretty random and meaningless. Chances of spreading bed bugs would seem to depend on your/ (your dad’s) behavior, how many bed bugs you have, where they are, and luck. You can probably only control the first item in that list, but it can make a big difference. We have some FAQs on travel which give tips on how to avoid spreading bed bugs. Wow, this is a real drag! I moved into an apartment last year, that I belive was infested prior to me moving in, and wham! The 3 story house is infested. The pco and landlord tried to blame me. Well my ex threw me out and we ne’er had bed bugs nor signs. I contacted her and alhough she didn’t want anyhing to do with me, she did respond by saying she never ha them and doesn’t have them now that I’m gone. So we tried to take care of the problem at the apartment. Followed all the suggestions o the pco who sprayed 2 times. Washe everything, bagged ect. We threw away so much stuff it was crazy. All properly disposed of by a garbage truck service. Anyway, the land lord decided to evict use. Good cause that was a piece of crap apartment. Ok so I move into a very old apartment in the ghetto. Been here almost 10 months. And yes we have bed bugs. Along with mice and German cockroaches. I noticed a dead bed bug maybe 4 or 5 months after I moved in. Of course I have been paranoid since I moved in that I brought them. I heard another tenant on a different floor say something about a bed bug infested coach. So that’s it the building is infested! A pco has come over and done a very poor job, only spraying around he bed. Did I bring them? Who knows. If I did, I’m sure they were already here. This place is nasty and the slum lords could care less. So why am I writing this. Well I want to be done with these bugs. I’m moving. I found a very clean newly renovated apartment. My plan is to go to ikea and buy a new bed, desk, ect and throw away all my books. Everyone. I am going to wash all my clothes on hot hot hot, and take my computer and bass guitar. Could they live in my computer and bass guitar? Am I crazy? How can inbe sure I don’t take them with me? Well i look at it this way, at least if they do travel along on he bottom of my shoe ornaomething, at least I will have gotten rid of most of my stuff and it will be easier to deal with the next infestation. But I feel like I will be successful at getting rid of them if I just get rid of all this crap I have. I feel like they live in those books! I meant to say I am throwing away everthing. Any books and things I want to keep I will put in plastic bags and store in those plastic storage containers. I mean am I crazy or is this a great idea or what? How can they come with me if I get rid of all my stuff and burn wash all my clothes? Can they get in my computer? 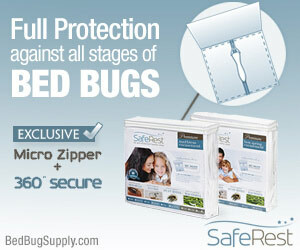 People have had great difficulties escaping bed bugs. We have heard from people who seem to have moved them even though they tossed nearly everything they own. If you want to save small items more economically than truck treatments, a Packtite may be useful (there’s a FAQ on that at the link below). The Packtite won’t fit a guitar, though — and yes, potentially anything could be infested. Good luck in your next move! I hope you get rid of them for good. 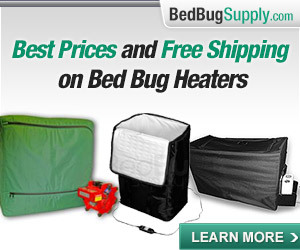 Lou and others have reported that bed bugs may appear “dead” and then thaw out later, alive. If you experiment with freezing, keep in mind, they may seem dead when they are just very frozen. Also, if they are in something, it may insulate them; they may take much longer than four days at the temps Lou described, if this is the case. FYI: Your freezer is likely *much* warmer than -29dF. That will lengthen the amount of time needed to kill them — if you can kill them. Heat and gas are not quite so tricky, but yes, expensive. We just currently found out that friends of ours have a bad bed bug infestation. My Boyfriend and daughter have been spending alot of time at their apartment in the last month or so without knowing. What are the chances that either one of them have been able to transport bed bugs back to our house. We just found out tonight and I am freaking out completely scared to sleep in my room or my couch. My boyfriend had some kinds of bites on him a few days ago but nothing since and me nor my daughter has been bit yet. 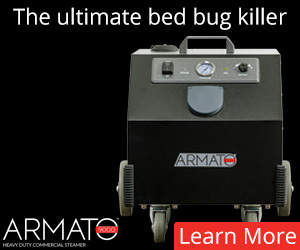 What should we do to make sure that we either don’t get infested or so that we can catch the bed bugs early. Should we contact a professional or can we deal with this on our own. Any advice would be greatly appreciated. Chances are if the friends have a bad infestation, you need to be vigilant. 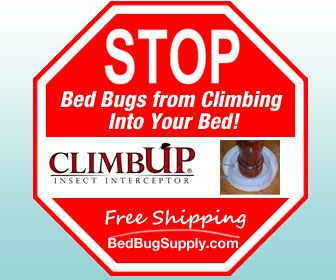 Bed bugs will not “jump” on you as you pass them by. However, if the couches, chairs, etc. of your friends have bed bug activity, it is possible your boyfriend and daughter could have brought them home on their clothing. For peace of mind, arrange for a well-qualified bed bug dog to search your home. There is a cost for this service and it will pale in comparision to what the emotional damage of knowing or not knowing if you have bed bugs until you are being over run and spending $1,000’s on treatments. 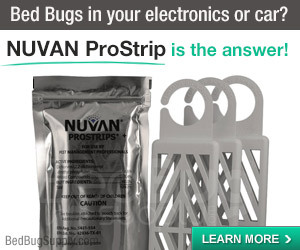 This site has an abundance of excellent resources to search out and though I am from Canada, our bed bug problems are becoming a major issue up here as well. I know it is far easier said than done however do not panic if you have bed bugs. Get a professional program in place and do not cut short the efforts just because you see a drop or no actvity between treatments. I see it all the time where money is tight (and I appreciate the potential costs of professional treatments by a licensed pest management professional) and the customer cuts short the program only to have us have to return a month later to start all over again. My advice is find a reputable, experienced pest management professional. 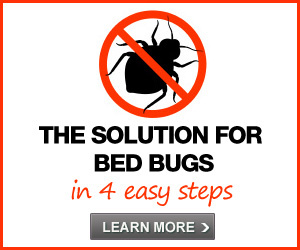 Read about the biology and habits of the bed bugs so you know what you are dealing with. And never let anyone tell you they can eliminate a serious infestation in 1 treatment – it will likley take 3-5 chemicals and complete cooperation from all involved to eliminate the bed bugs in your home – for today. They are everywhere so educate, educate, educate. Further to my advice, I just wish to clarify one issue in that it may be possible to eliminate a minor bed bug infestation with just one comprehensive chemcial treatment. The PMP has to be diligent and if you employ a dog in conjunction for the initial inspection, the targeted areas will be refined. Most chemical applications are a minimum 3-cycle treatment process but we have had to treat as many as 10-cycles if we do not receive full cooperation from the homeowner. And there is a cost to each treatment cycle so as I always tell anyone we treat, pay attention to our advice or pay dearly until we get the problem eradicated. 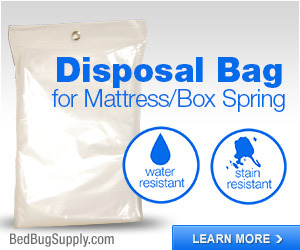 Bed bugs dogs are extremely effective at finding bed bugs with results in the 95%+ range. Our own dog is tracking at 98%. If you choose a dog for the inspection, do not treat any areas with self remedies or chemicals off the shelf before the dog is called in as this could damage the dog resulting in larger issues than bed bug treatments. We are moving away from chemical treatments in favour of heat eradication in the majority of residential homes simply due to the additional stress the families encounter living with bed bugs for multiple chemical treatments (minimum 6 week cycle for 3 chemical treatments) and after the dust settles, heat is more effective, cost is similiar and the bed bugs at all stages are eradicated. We have yet to have a call back on any heat treatments although reintroduction months after has seen repeat customers. It is imperative to be aware that the pest control industry does not have one single silver bullet at its avail to eradicate and keep bed bugs out of homes or just about anywhere else we gather. Only through education and understanding what to look for can we be vigilant in keeping ourselves bed bug free. We have been doing pest control work for over 64 years and although our work with bed bugs has increased 4,000% in the last 2 years alone, we have yet to take any bed bugs home with us and some of us travel extensively throughout North America. Take a deep breath, if you can sleep where the bed bugs are as this limits their want to migrate to where you are sleeping (if a couch or chair in another room) and get a good reputable professional pest control company to work with you and your family. Success in dealing with the scurge can be had just educate and be aware of everything around us. If your daughter and boyfriend spent a lot of time in an infested home in the last month, it is indeed possible they brought bed bugs home. I assume they have stopped visiting these friends or receiving visits from them, for the time being, and here’s what I’d suggest: have your boyfriend (and everyone else in the home) report any itchy bite reactions to you. Write down when and where they occurred. If you stay away from the infested home, and he continues to find new bites, or if a lot of time has elapsed and bites are appearing, then I would spring into action. You may want to have a professional in regardless. MBCowboy is right that bed bug sniffing canines CAN be a useful too, but read my comments to him below — do not assume that any random k9 team is going to be equally effective; they’re not all alike. This is our FAQ on bed bug sniffing dogs. 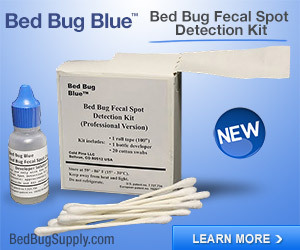 Other tools exist like active bed bug monitors which may catch bed bugs if they are present, but these may not necessarily detect a small infestation (which may also be hard for humans to detect). This is our FAQ on detection. Please come to the forums if you want further feedback or support or advice on monitoring tools and detection. I appreciate your comments and expertise, and also the fact that you did not plug your firm, which is done quite commonly in our comments, and is not the point of the site. Thanks for understanding that! I think it’s a bit dangerous to make statements about what bed bug sniffing k9s can do in general. There are a variety of trainers and methods and handlers, which make it difficult to generalize. Yes, there was a study which showed they could be 95% effective. (It was, of course, based on the dogs studied.) I do not doubt your team is 98% effective. We hear stories about them. Many handlers don’t visually verify dog alerts, and in such cases, their actual rate of effectiveness may be entirely unknown. We hear of customers hiring three different teams and getting three different results. Consumers should do their research and consider reading this FAQ before hiring a bed bug sniffing k9. I sincerely appreciate your feedback. As for plugging our company, that is not the intent of this site, it would be rude and predatory to do so and I believe those of us in the business have a fuduciary responsibility to offer helpful advice where possible to educate and bring a degree of peace of mind to those who ask questions. 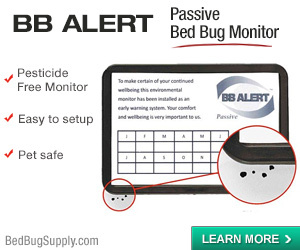 I realize I ran the risk of giving a bit of misleading advice on bed bug dogs but for the sake of brevity and at the risk of sounding like I was promoting one avenue versus another, I kept my points brief to what I believed was salient to the advice given as many bed bug sufferers may not appreciate what goes into making a reliable and profficient bed bug k9 team. Our dog is NESDCA trained and our handler is amazing – we have had tremendous success and acceptance with this team. We had no idea the time, commitment, daily training and the expense it takes to ensure the k9 tool (it is a tool and not a pet by any means) takes to ensure your investment is able to perform at such high levels. And it is a huge investment make no doubt! But, for us, it works very well. I just yesterday had a call from a concerned owner of a multi-tenant residential complex who had hired someone who came in with a “multi-tasking dog” trained not only to sniff out bombs and drugs but all kinds of other pests so the shysters are working full time exploiting those who are looking to get out on the cheap. As most should be aware, bed bug k9’s are trained for one thing and one thing only – bed bugs and you need to work daily to keep their sniffers at the top of their game. That is why I alluded to ensuring you do your homework, educate yourself and to get a reputable company assuming people will follow advice as you would with any other “trade or professional” you would employ. I encourage anyone who wishes to explore the k9 option to ask for credentials and ask for references. And then follow up with calling the references. Educate yourself on what a bed bug k9 has to go through and ask questions. And I was remiss in not pointing out the monitoring options you mentioned – thanks for jumping in and clarifying. I am hoping that as non-biased professionals, we can work together whether in Canada, the USA or wherever to bring peace of mind to those with bed bug concerns. We need to get the word out that for the time being anyways the bed bugs are here for the long haul so we all better get together and help educate people who come looking for advice. 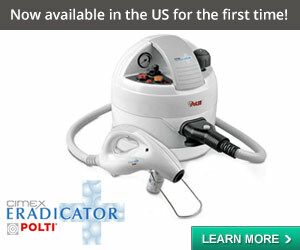 There are many yahoos out there looking to make a fast buck with all kinds of dubious remedies. Hopefully, we engage people to think, react rationally and do the right things as much as possible to either get rid of the bed bugs if they have them or avoid brining them into their lives as much as possible. I have seen people literally at the ends of their wits, sleepless for days and acting irrationally when trying to deal with bed bugs to the point where family life and well being is threatened beyond repair. Those in the business can help people with advice if nothing else so the entire bed bug experience does not destroy their lives. The cost is already crippling governments, landlords, tenants and homeowners in many cases. It will only get much, much worse before we tip the scales in society’s favor in my opinion. Without a silver bullet, to quote a song lyric “We ain’t seen nothing yet”. Next post: No, not that DDT debate. A different one, trust me. Read on.